A Villapalacios, parking des arènes permettant une étape de nuit entre Cordoue et Valence. Très calme. aucun service. 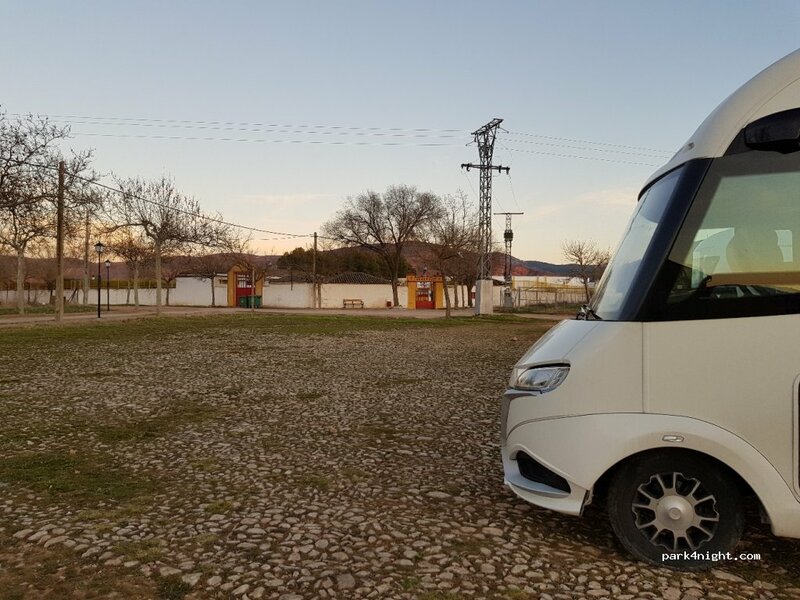 In Villapalacios, parking arena for a night stage between Cordoba and Valencia. Very calm. no service. Upper parking of the bullring. Peaceful place. Parking with departure for the "Via Verde" 74 km of prepared slopes. Large vacant lot with some ruins along the road, convenient for a stopover, rather pretty.